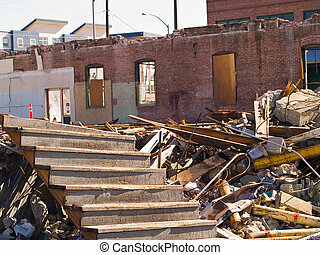 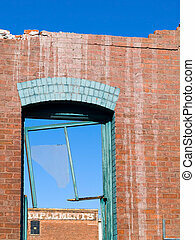 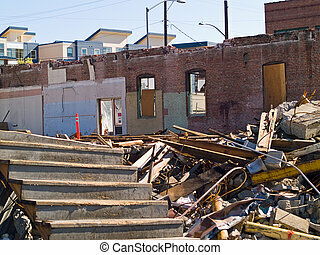 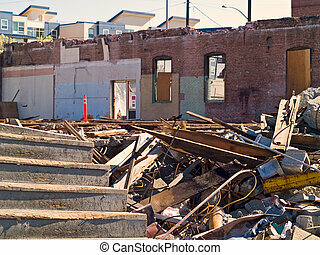 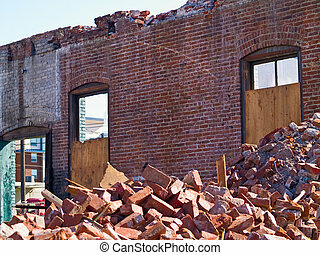 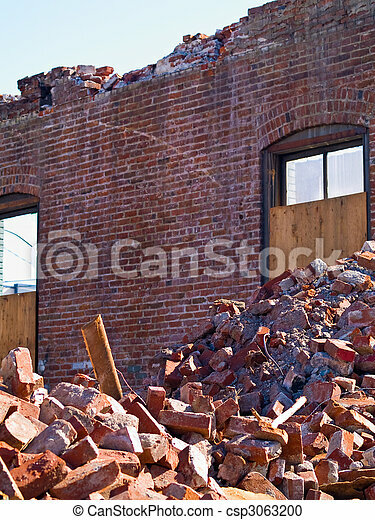 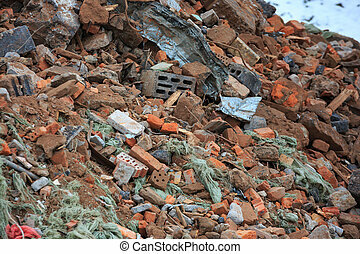 A demolition site with a pile of demolished brick wall and concrete debris. 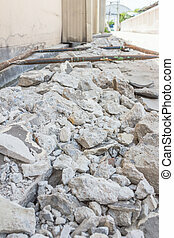 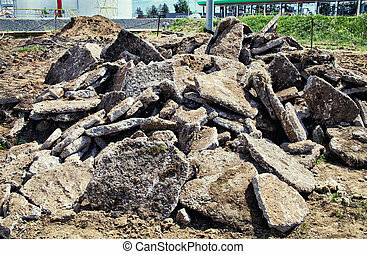 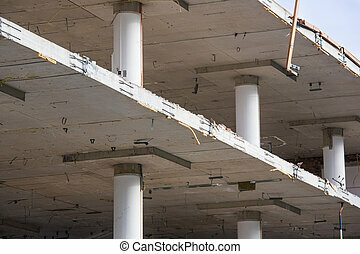 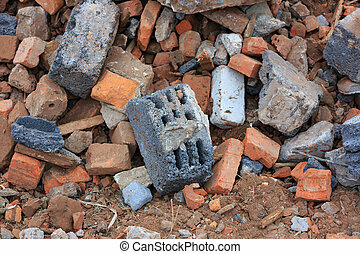 Pile of concrete debris at a building demolition site. 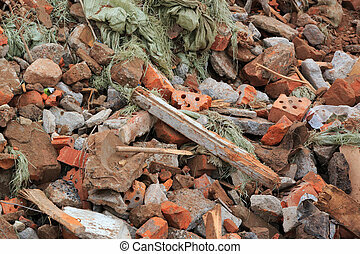 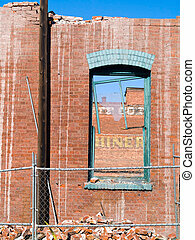 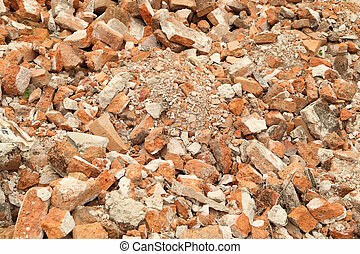 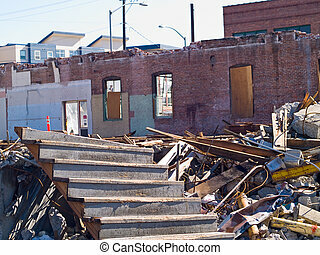 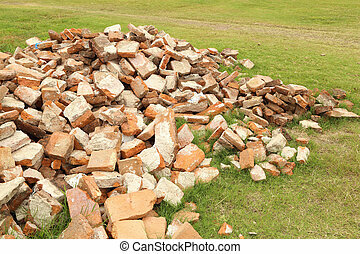 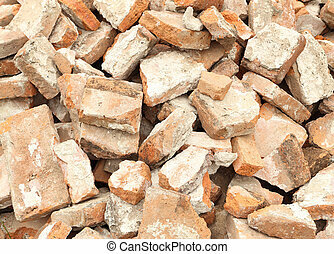 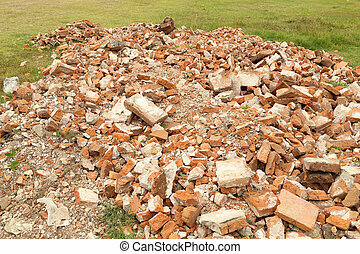 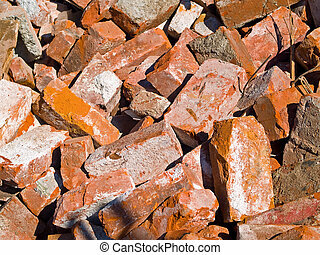 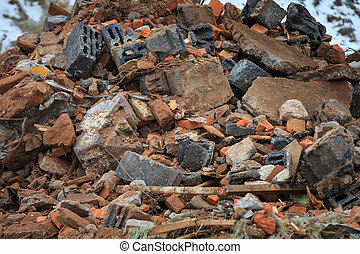 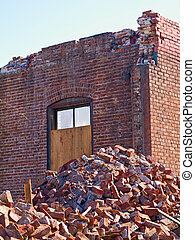 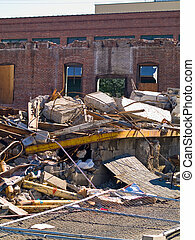 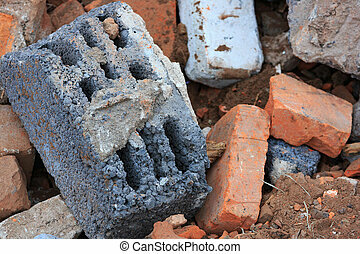 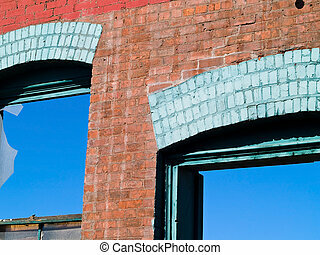 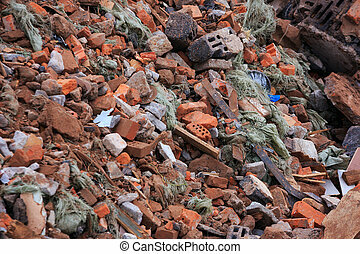 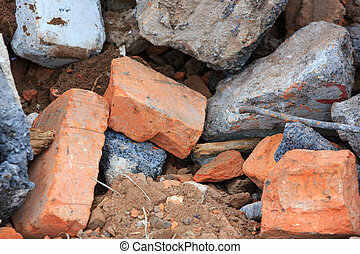 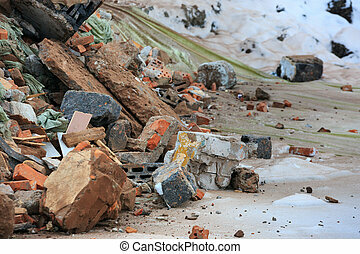 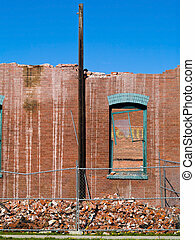 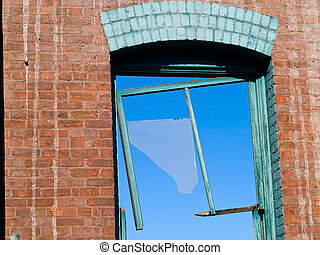 A pile of construction debris is broken brick and concrete.